You have a Pitta type constitution. This means that your dominant dosha is pitta, which comprises of fire and water. You have a highly competitive nature and are very goal oriented. This gives you a significant edge over the competition, but can make you a wee bit aggressive at times! At most times you are focused and have good powers of retention. You are also very active and love the outdoors. Your frame and build makes it easy for you to gain muscle mass and gyming may in itself be a challenge that you love and approach in a competitive manner! While you have a physique that works in your favour, you may be plagued with hair thinning and premature graying or balding. Pitta dominance can result in a higher core temperature, which is why you have a preference for cooler climates. This strong internal fire also powers your digestion, which is why of all dosha types, you have the healthiest digestion. This strength can also be your weakness however, as pitta aggravation can over-stimulate the system leading to excess acid production. As a pitta type individual, you are susceptible to inflammatory conditions like gastritis, peptic or intestinal ulcers, as well as inflammatory skin conditions like eczema. 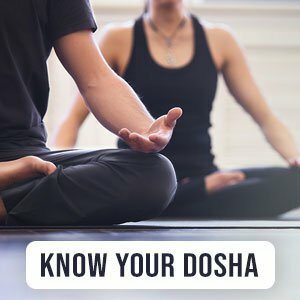 Dosha imbalances can also make you vulnerable to intense bouts of anger, especially when hungry, and you are also more likely to feel stressed and suffer from sleep disorders.